These fingerless gloves will stretch to fit most hand sizes. You can make them longer by adding rows across the top or bottom. 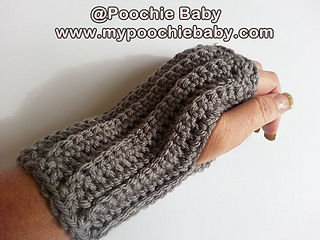 These gloves are so simple and quick to make! They would go great with a matching ribbed scarf. 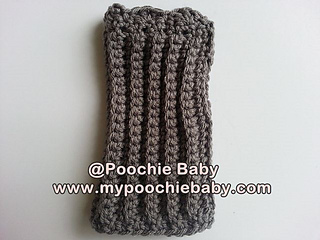 The pattern is located on the Poochie Baby blog for free.